This is different than the Trivial Pursuit. It was put out by Disney with Mattel. The game comes in a metal film can, and has cute pawns with mouse ears rather than wedges. The board itself is also shaped as a Mickey head, with ears that fold in to a circle for storage in the round container. Includes 400 Adult cards (2000 questions) and 100 Kids' cards (500 questions). 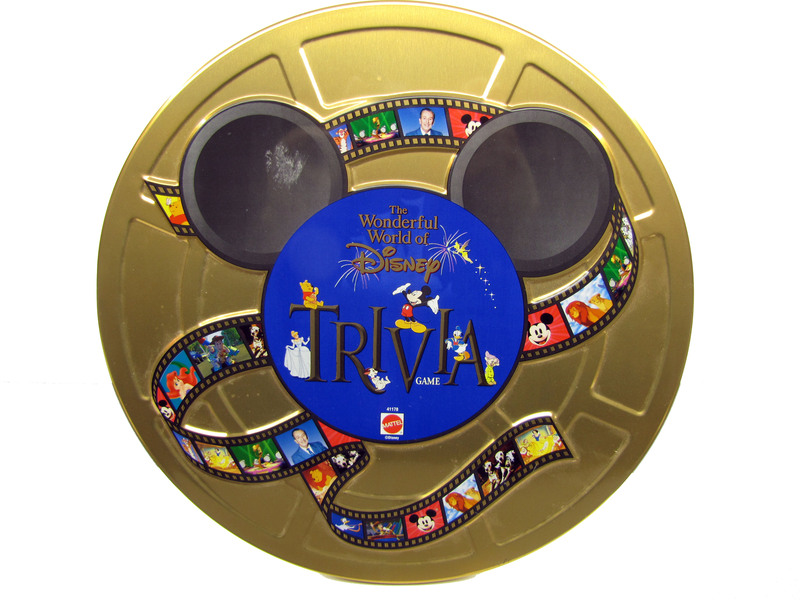 Playtime depends on your knowledge of Disney, if you go to the parks and movies often, you'll get questions right and end the game more quickly.